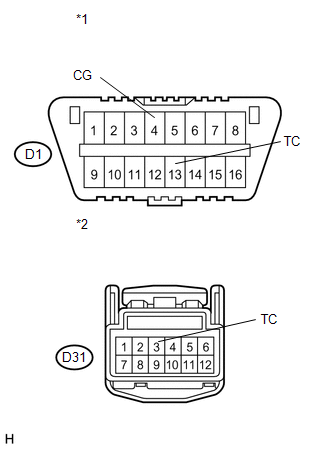 DTC output mode is set by connecting terminals 13 (TC) and 4 (CG) of the DLC3. 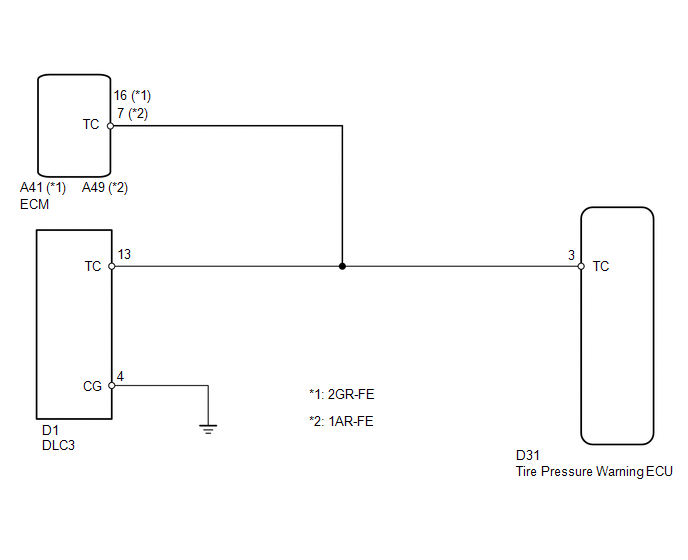 The DTCs are indicated by the blinking pattern of the tire pressure warning light. When various warning lights blink continuously, a ground short in terminal TC of the DLC3 or an internal ground short in an ECU connected to this circuit may have occurred.